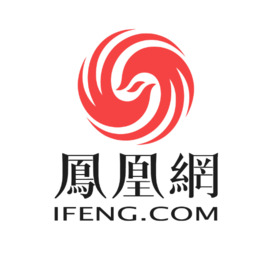 Fenghuangwang (Fenghuang New Media, NYSE: FENG) is the world's leading cross-platform online new media company, integrating its three comprehensive platforms: Phoenix Portal, Mobile Phoenix and Phoenix Video, adhering to the "Chinese feelings, global vision, and compatibility. The media concept of "Openness, Progressive Forces," provides mainstream Chinese with new media, high-quality content and services that integrate Internet, wireless communications, and television networks. Fenghuangwang (Fenghuang New Media, NYSE: FENG) is the world’s leading cross-platform network new media company, integrating its three comprehensive platforms: Phoenix, mobile phone Phoenix, mobile client and Phoenix video, adhering to “Chinese feelings, "Global vision, inclusiveness, and progressive forces" media concept provides mainstream Chinese with Internet, mobile Internet, video and cross-platform integration, seamless integration of new media, high-quality content and services. Phoenix Network is not only the network communication channel for high-quality TV content of the controlling Phoenix TV Media Group, but also integrates the content produced by many professional media organizations, user-generated content, and professional content produced by itself, providing a full range of audio and video with text graphics. Comprehensive news, in-depth reports, opinions and comments, financial products, interactive applications, sharing of communities, online web games and other services to meet the needs of the mainstream population for browsing, expression, communication, sharing, entertainment, wealth management and other diversification and individuation. For the TV platform transmitted to Phoenix TV, an innovative network-to-team combination communication model is created to provide rich content and services anywhere, anytime for the Internet, mobile Internet, and video users. With an average daily user coverage (UV) of more than 47 million, Phoenix Daily has over 430 million monthly users, making it the fourth largest portal site in China. Mobile Phoenix Daily has more than 200 million page views per day (PV). According to the report of iResearch in 2012, the monthly average income, family economic status, education level, ratio of management and professional staff, PV/UV ratio of a single visitor's page, average daily browsing time, etc. It is at the leading level in China's Internet portals. With its unique audience accuracy, content insight, platform integration, and brand influence, Phoenix.com is the core of media marketing value. Phoenix Network is a graphic and audio integrated information website of Phoenix New Media. Provide comprehensive news information on politics, society, finance, entertainment, fashion, and life in the international, Chinese mainland and Hong Kong, Macao, and Taiwan regions; provide users with interactive and interactive space for Web 2.0 applications such as blogs, forums, debates, and surveys. The multimedia services that can be customized with RSS, TAG, on-demand, carousel, personal schedules, etc. meet the personalized information needs of users. Phoenix Information Channel is the most overseas-oriented news channel in the integrated portal. It takes the big heart of Phoenix and caters to the global mainstream Chinese information needs to provide comprehensive, high-end, authoritative and diverse information, commentary, video, and interactive products. The characteristics of current administration are consistent and profoundly grasp the core topics that the Chinese are most concerned about. Independent analysis from a foreign perspective to explore the truth of the incident and gain progressive power. The first time to deliver news, analyze the value of information, provide global financial services for Chinese users, and provide Chinese financial services to users around the world are the financial portals most concerned by high-end people. We are committed to operating timely, accurate, comprehensive, and professional financial and financial information 24 hours a day, a unique value judgment, and independent reporting perspectives covering finance, stocks, funds, wealth management, finance, commerce, and consumption. According to the “Report on the Fifth China Internet Brand Cognition, Consumer Behavior, and Satisfaction Survey” published in November 2010, the Phoenix.com Finance Channel’s user satisfaction, user loyalty, and referral index are among the top financial indicators. Brand first. Reading entertainment, perspective vanity field. Based on the perspective of the global Chinese, the Phoenix Entertainment Channel strives to present the panorama of Chinese and Taiwanese entertainment in the three places. While providing the fastest, hottest and most in-depth entertainment news and special reports, it also taps into the internal value of entertainment and extends its social significance. It also introduces professional interpretation and heavy thinking beyond pure entertainment gossip. The channel covers rich content such as stars, movies, television, music, interviews, videos, variety shows, reviews, pictures, forums, and performances. Fenghuangwang Fashion Channel adheres to the principle of “leading quality life” and covers fashion, beauty, weight loss, luxury goods, travel, home, arts, emotions and other trend areas, providing a wealth of original fashion trends for urban gold collars and fashionistas. , For the most fashionable style of user brand businesses to grasp the international fashion trends, provide a cutting-edge view of fashion, set up a rich interactive and personalized services, is the audience most widely and most popular Chinese language fashion media. 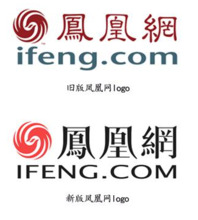 On March 22, 2010, the Fenghuangwang Technology Channel went online, targeting mainstream Internet users with 25-45-year-old male focus, focusing on TMT industry practitioners, researchers, consumers of high-end digital products, and strong interest in technology information and products. By. Provide the latest and fastest technology information, unique and in-depth trend analysis, as well as a comprehensive and detailed information database of people, products, and companies. Fenghuangwang Automobile Channel is a portal automobile website that has a rapid rise in the Chinese world and has extensive influence. It is a high-quality marketing and dissemination platform integrating the purchase of cars, vehicles, and car stories. For the middle class and white-collar workers to provide the most comprehensive automotive information and services. Launched on December 2, 2009, Nielsen ranked fourth. Phoenix Real Estate, as a new information platform for real estate industry, will disseminate the concept of healthy living from the perspective of global human settlement to promote the living environment. To improve itself; to build an exhibition and communication platform for organizations that are committed to improvement of human settlements, enterprises engaged in real estate industry, well-known scholars, and pioneers in the industry; pay attention to improving human settlements conditions and provide comprehensive reference for consumer information for high-end home buyers. Services, focusing on cross-regional urban residential model, build cross-regional home information exchange platform. Fenghuangwang Real Estate is committed to building the first platform for high-end home information and services, and is striving to realize the leading Chinese living in new media. Focusing on the vision of Phoenix, it focuses on the modern and contemporary political history of China and the world, restores the historical truth, integrates the theme of news planning for the anniversary and emergency events, integrates Phoenix Satellite TV's rich humanistic historical resources, and reports reality with strong humanistic feelings to create the best Historical and cultural quality and high-end influence historical platform. Fenghuangwang Sports Channel went online in 2007, targeting mainstream Internet users, mainly males aged 25-45 years, providing mainstream sports information services such as text, pictures, videos, and data. Taking the Phoenix media's media values ? ?to dig deeper into the story behind sports information, focusing on the sports reading needs of 120 million high-end Internet users, creating the only Internet portal that belongs to their portal sports channel. The Phoenix Lottery Channel provides professional lottery information and news, and the color variety includes mainstream color varieties such as digital color, high-frequency color, and competitive color. In December 2012, Phoenix Newcomer Announces Ten Annual Awards. Zhou Kehua is Killed. March 2012 App100 application popularity list announced Phoenix News finalists "the most media"
In February 2010, Jin Ling joined Fenghuang.com and became the vice president. He is fully responsible for the management of new media advertising marketing.